ystemic lupus erythematosus, commonly referred to as SLE or simply SLE, is a chronic disease which causes inflammation and damage to multiple organs. It is also an autoimmune illness, which means that it occurs because the patient’s immune system attacks its own tissues and organs because it mistakenly thinks they are foreign tissues. It is characterized by the presence of antinuclear antibodies in the patient’s blood. Can be divided into acute, subacute or chronic. Each type causes different dermal lesions. It resolves after the patient stops taking the medication which caused it. This type of lupus is very rare and probably caused by maternal antibodies. Lupus is much more common in women than in men, and it also affects people of Afro-Caribbean, Chinese and Southeast Asian origin more frequently. 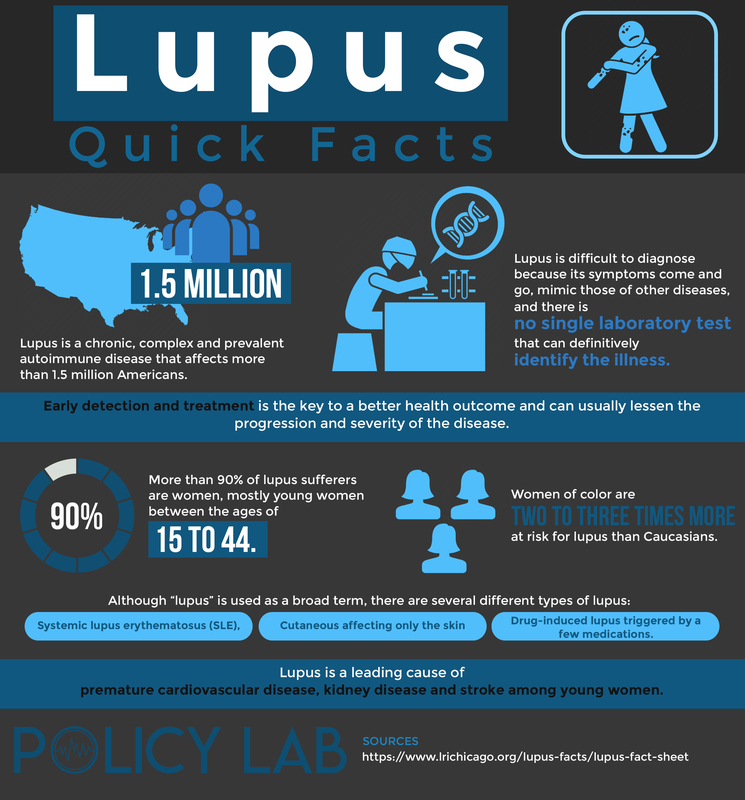 The exact cause of lupus is unknown. Genetics might be a contributing factor, since it has been found that lupus can run in families. Other possible triggers are hormonal changes, medications (for example hydralazine, methyldopa, minocycline, d-penicillamine, chlorpromazine, and isoniazid), infections, and environmental factors. Malar rash: a butterfly-shaped facial rash, which can itch. Systemic lupus erythematosus can affect every system in the body, including the heart, digestive system, kidneys, lungs, and nervous system. Once your doctors suspect lupus as the cause of your symptoms, they will order laboratory tests to determine the presence of antinuclear antibodies in your blood. Patients with lupus often also have another antibody called anti-double-stranded DNA (anti-dsDNA) present in their blood. The American College of Rheumatology has compiled a list of criteria to help reach a diagnosis in patients who display certain symptoms. Although there isn’t currently a cure for systemic lupus erythematosus, its symptoms can be managed through a variety of treatments. Since lupus produces different symptoms in each patient, the treatment will be individualized to better treat those specific symptoms.Some patients with mild symptoms can use medications intermittently or not at all. Nonsteroidal anti-inflammatory drugs or NSAIDs such as naproxen, ibuprofen or aspirin are used to treat arthralgia and myalgia. NSAIDs can cause stomach ulcers, so misoprostol is sometimes used in conjunction to prevent this side effect. Corticosteroids also reduce inflammation, and are often used when the disease causes organ damage. These drugs have multiple and serious side effects, so their use must be closely monitored by the patient’s medical team. These side effects can include weight gain, osteopenia, osteoporosis, and infections. Antimalarial drugssuch as hydroxychloroquine and chloroquine are used to treat fatigue, joint symptoms, and skin lesions. They also relieve general symptoms and prevent flare-ups. Hydroxychloroquine has shown to be effective in preventing abnormal blood clotting. Cytotoxic or immunosuppressive drugs, such as cyclophosphamide, cyclosporine, methotrexate, and azathioprine are also used to treat severe cases of systemic lupus erythematosus. Cytotoxic drugs can cause severe side effects such as liver and kidney toxicity. Rituximab, a chimeric monoclonal antibody which is infused intravenously and destroys B cells, thus decreasing the severity of lupus and even making it go into remission. Belimumab was approved in 2011 and acts as a B-lymphocyte stimulator or BLyS-specific inhibitor which inhibits the production of B cells. Plasmapheresis is a process during which blood plasma is removed from the body and filtered before being returned to circulation. This procedure is used to remove antibodies from the patient’s blood, and it is performed when there is severe kidney or brain damage. Plasmapheresis also removes cryoglobulins, which are proteins that can cause vasculitis. Patients with severe kidney disease stemming from systemic lupus erythematosus need to receive dialysis or a kidney transplant. The treatment and prognosis of lupus patients has been greatly improved thanks to clinical trials. Through these trials, new drugs or procedures are tested, helping researchers discover which treatments are most effective, what side effects they can cause, and how to improve patients’ quality of life. Clinical trials are conducted by universities, hospitals, or organizations under the guidance of a medical team. Participants not only get to help to develop new treatments, but also have access to expert healthcare and new medical developments. If you are interested in participating in a clinical trial, ask your doctor about trials open in your area or contact hospitals and universities near you. Patients with systemic lupus erythematosus need to rest more when they are going through a flare-up; however, exercise is still necessary to prevent muscle atrophy. Although there isn’t a specific diet for lupus patients, they should follow a healthy and balanced diet. A patient could require more calories during an active phase of lupus. Decreasing salt intake can help with swelling and edema. Also, patients who take corticosteroids should take calcium and vitamin D supplements to avoid osteopenia and osteoporosis. Although alcohol isn’t contraindicated in lupus, it may interact with the medications a patient is taking; therefore, patients should be made aware of any possible interactions. In order to prevent dermal lesions, sun exposure should be avoided and sunscreen must be worn to protect the skin. Wearing long sleeve tops and hats is recommended on sunny days. Research the disease, its symptoms, complications, and consequences in order to be able to understand what your loved one is going through. Make sure there are healthy and balanced meals available to suit the needs of a lupus patient. Be understanding when your loved one is going through a flare-up, since they will likely need more rest than usual; offer help, and ask what the other person needs. Offer encouragement and support to your loved one.